We’re back! We’ve been very busy trying to stay quiet and a little more focused on R&D. I’ve been able to invest money into IR from various consultancy jobs and system sales, which has helped drive our VR and AR research. So I say we, as IR has grown slightly with the number of people that work with us from all over the globe. We now work with many different artists and programmers on various bespoke projects, on internal research tasks or client based work. We are slowly starting to develop our own software applications specific to photorgammetry, photometric scanning and 3D capture. We’re an indie company, the wolf is never far from the door but we’re still going (fairly) strong. I hope to find the time to be able to write more blog posts and share what we’ve been working on. So much has changed since we started and the technology has evolved a great deal. Especially in the VR market. It’s been great to see the 3D scanning industry embrace photogrammetry and to watch it evolve so much. There are now many IR built capture systems out in the wild, you may have seen them and not realized but they are there and have featured on some very high profile motion picture and computer games projects. Some in the US, some in Europe and some further a field.. We’ve even helped build systems in India and China. It’s been great to see others grow from our early research, using components that IR directly helped design and prototype back in 2011, such as the ShutterCell’s and PowerCell’s with Esper-Design. 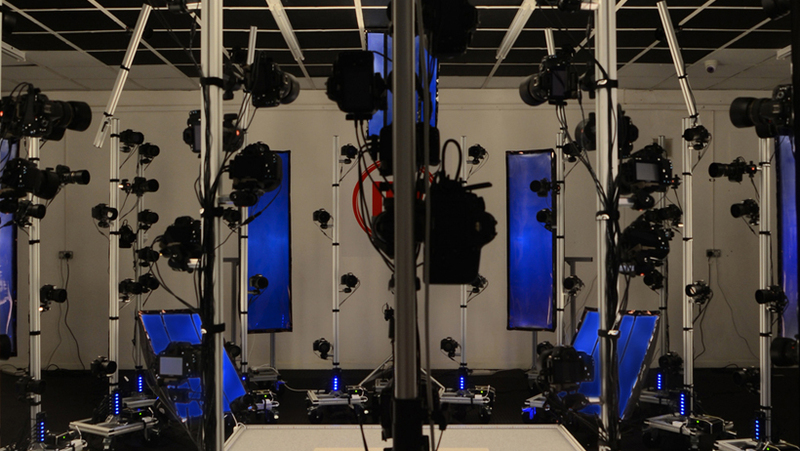 IR has been involved with systems located at Pinewood, Warner Brothers and Shepperton Studios. If you need access to a high end capture system, let us know. We can point you in the right direction. Here’s looking to the future and what new advances may come.